Creatureform fables take place on the earth of Kaia, a planet like ours many manies away, and probably a long time ago. These are the people who could turn into animals. This is their story in their darkest hour and their greatest legend. This Omnibus collects Books 1-6. 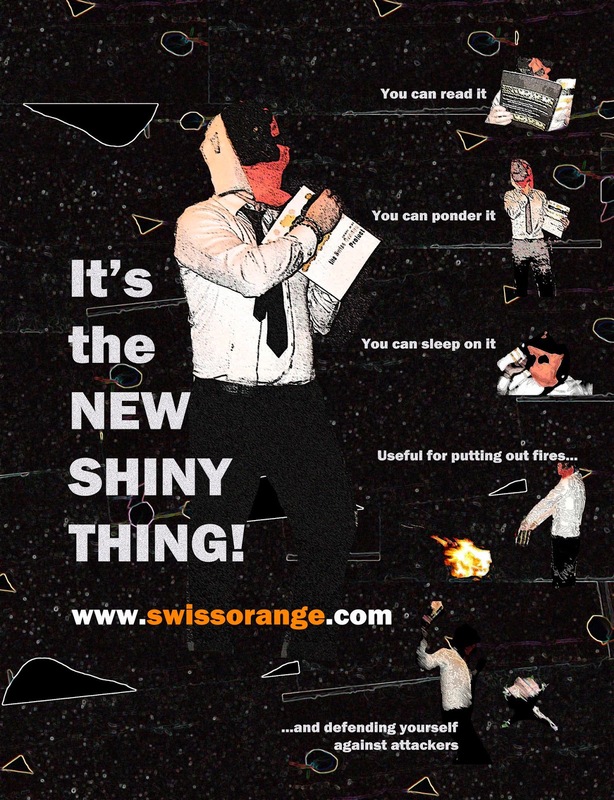 The Swiss Orange Project is a 10 book series. Individual copies of Books 1-6 are available on www.shopimagination.com as well as on GoodReads and www.swissorange.com (where you can obtain free digital copies).